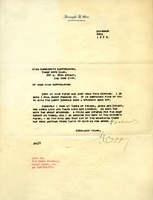 Orr compliments Bartholomew's paper on the Berry Schools. 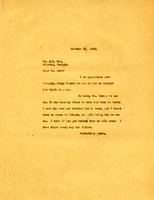 He encloses a prize-wining student essay on speeches given at Berry by his friend Judge Abe Cozart. Berry again thanks Orr for bringing Judge Cozart to campus and reminds him to bring Mr. Penny. 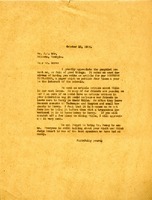 A pamphlet he shared with her prompts her to ask him to write an article on wills for the Southern Highlander as a way to encourage supporters to remember Berry in their wills more generously, as they do for Tuskegee and Hampton Institute. Berry thanks Orr for bringing Judge Cozart to campus and asks that he also bring Mr. Penny when he next visits Atlanta.